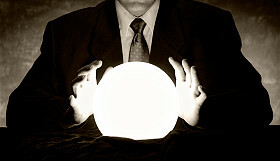 Gaze into your crystal ball and predict the issues of the past year to be addressed in the coming one! It’s that time of year. The top 10 lists, the reflections, the can I possibly attend another holiday party and survive through to New Years? Well I will not give you a top ten list but I will list out 4 key issues that seemed to highlight the sentiments of the speakers at the 23rd annual Executive Conference recently held in New York. The title of the conference was “Driving Growth in the Life and Property-Casualty Insurance Markets.” The annual event brought together several key executives in both the Life, Health and Property & Casualty Insurance arena. This year the audience heard from the likes of Starr Insurance, Endurance Specialty, Aspen Insurance, Lincoln Financial, ING, and Zurich Global Life among others. While the topics of discussion varied from panel to panel, a set of themes emerged from the various discussions. When looking back over the last year, and forward into the future, it seems that there were consistently 4 areas that these business leaders seemed to be concerned about. Each issue impacted each company differently, however, the the themes permeated throughout the program. Technology and the use of data. A somewhat mixed statement about technology seemed to emanate from the various speakers. On the one hand it was acknowledged that the industry lags behind in adopting and using technology. Many companies still are working off antiquated systems that could use an overhaul. On the other hand it was noted thatthe industry is filled with valuable data that needs to be analyzed and used to improve outcomes. Companies that can use their data more effectively will have a critical differentiator in the future. Predictive analytics and modeling will be the key to increasing underwriting profit needed in these times of continued low interest rates. Climate change and catastrophes. With the conference so close to the events and location of Sandy, the talk of underwriting and managing CAT losses was on the mind of many. There is a clear belief that climate change has affected weather patterns and will continue to create larger storms for the foreseeable future. The importance of getting the appropriate rate for risks, being better prepared from a continuity perspective, and looking to opportunities to underwrite new risk and innovative risks were just some of the topics discussed. Some of the issues around CAT management also related to governmental intervention that effectively re-wrtie contracts making it more challenging to underwrite. Increased regulations. Solvency II, the fiscal cliff, the impacts of Dodd-Frank legislation, Systemic Risk (systemically important financial institution (SIFI) designation), the Federal Insurance Office’s (FIO), unclaimed property, tax compliance with SSAP 101 and FATCA are just some of the many potential compliance issues that could increase costs and expose companies to additional fines for non-compliance. While the general feeling was increased regulation was not going to change the industry for the better, the need to deal with changing regulations was going to have a real impact. Social media as in customer relations as well distribution. Social media is here to stay and many have begun to address how to use this medium in both dealing with customer complaints or improving customer relations. There was a clear acknowledgement that social media can be the genesis of grass roots negative campaigns unless managed correctly. A few panel members spoke of how they have created new ways to communicate with customers and create more positive images around their products and services. I think the themes expressed by the insurance leadership at the conference need to be dealt with in the foreseeable future. Addressing technology and using data analytics will be the key to building productive, profitable and efficient organizations. That is all well and good, but the industry must also work to improve its image. For some reason the message gets lost that during castrophe’s the industry rapidly pays out billions of dollars in a relatively short period of time without any complaints. Adopting social media and engaging customers will help. The future seems bright to me and I am looking forward to another year. What do you think are the key industry issues from 2012 and what needs to be focused on for 2013? Tagged with Best Practices, Claims Technology, Climate Changes, Data Analytics, Innovation, Regulatory Concerns, Social Media, Strategic Planning.